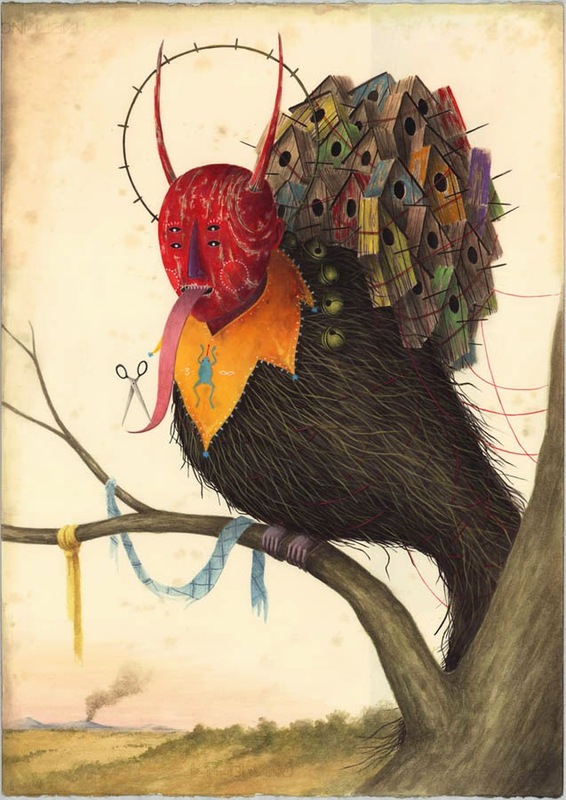 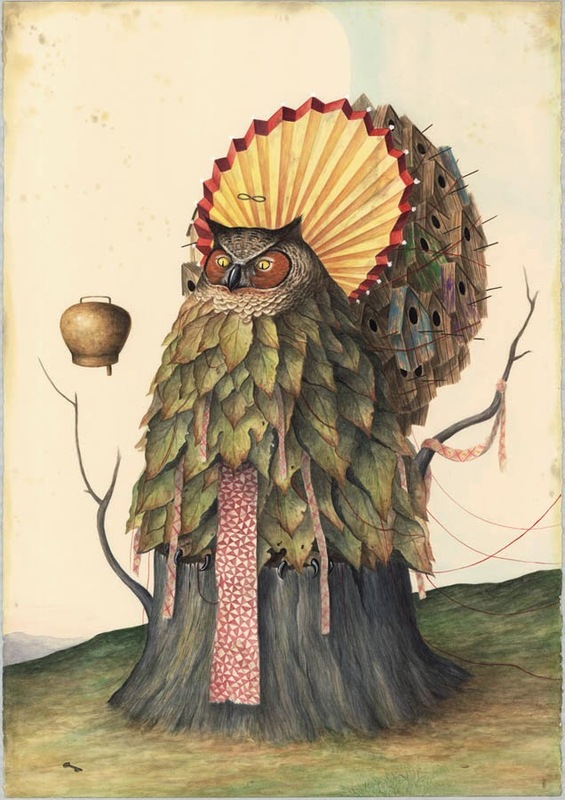 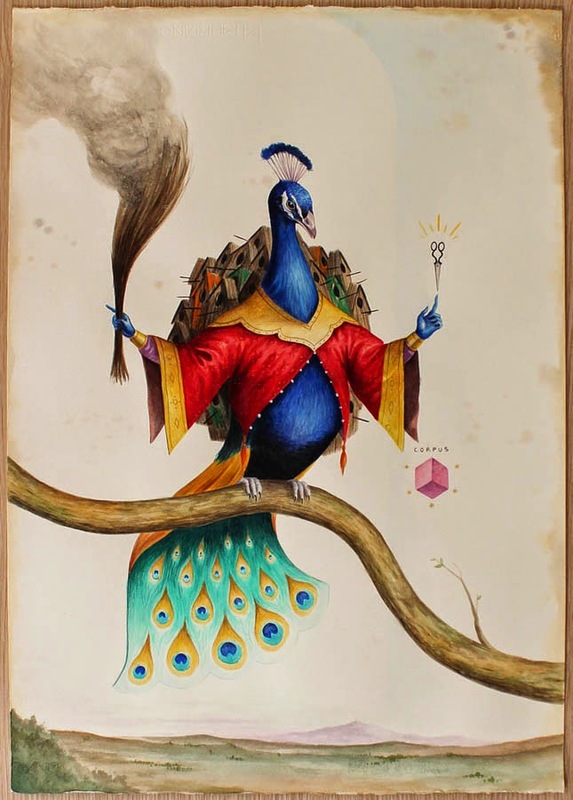 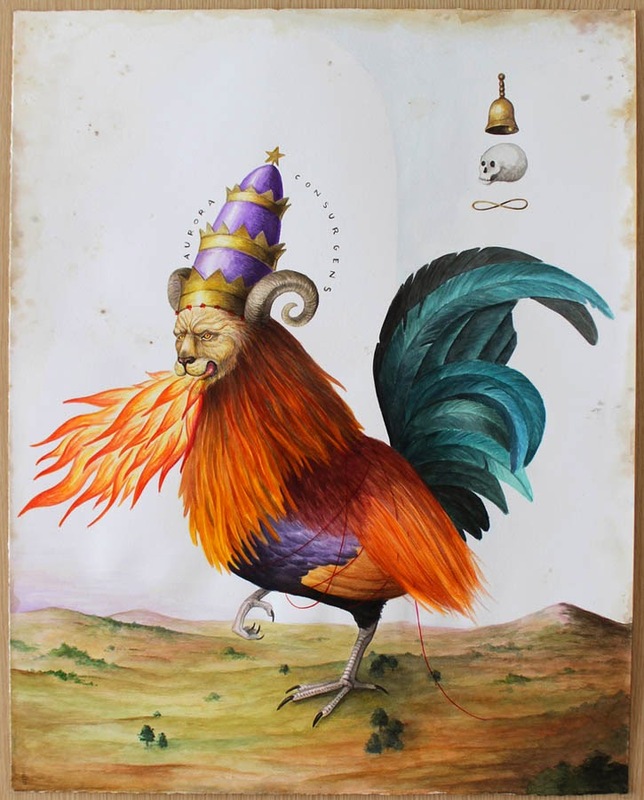 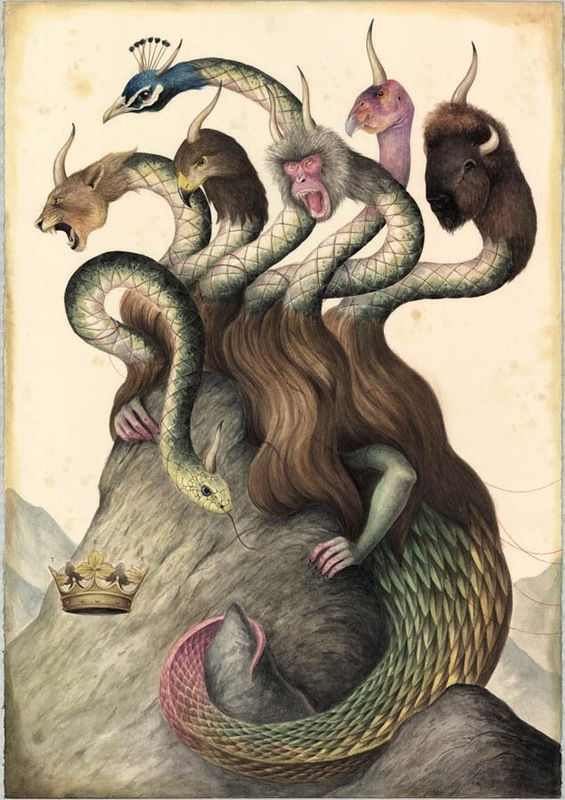 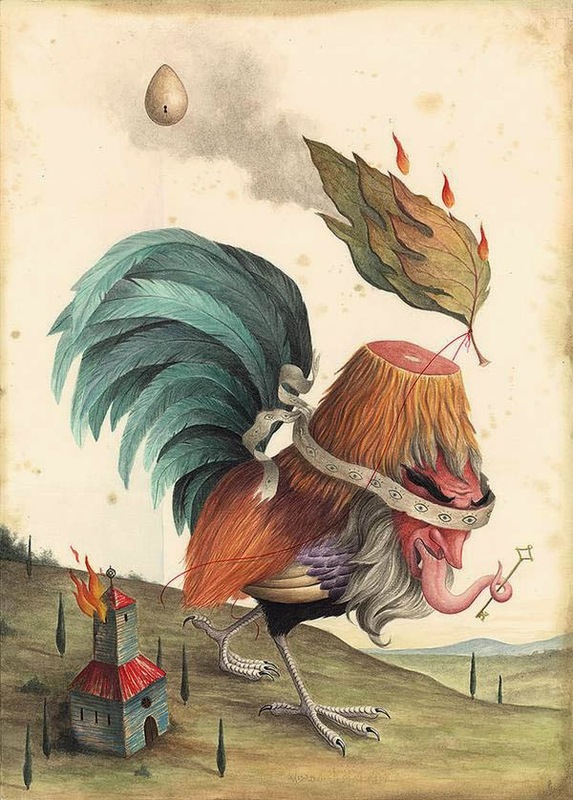 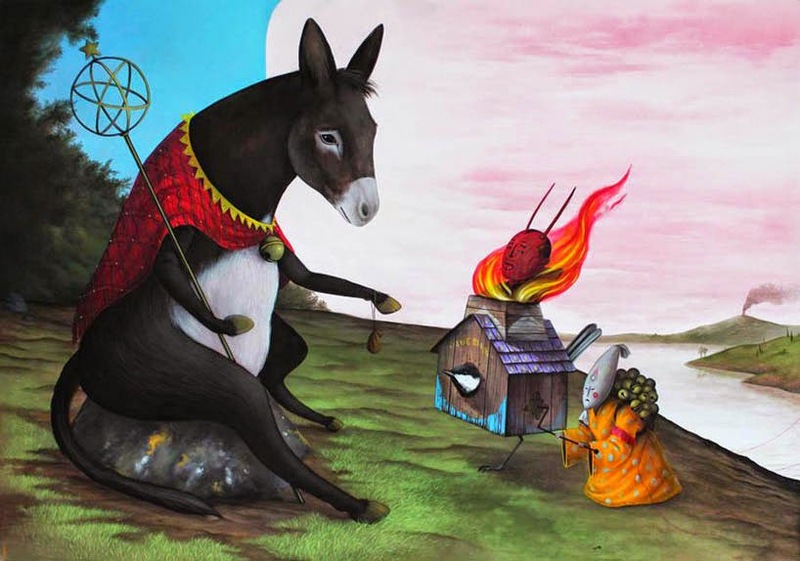 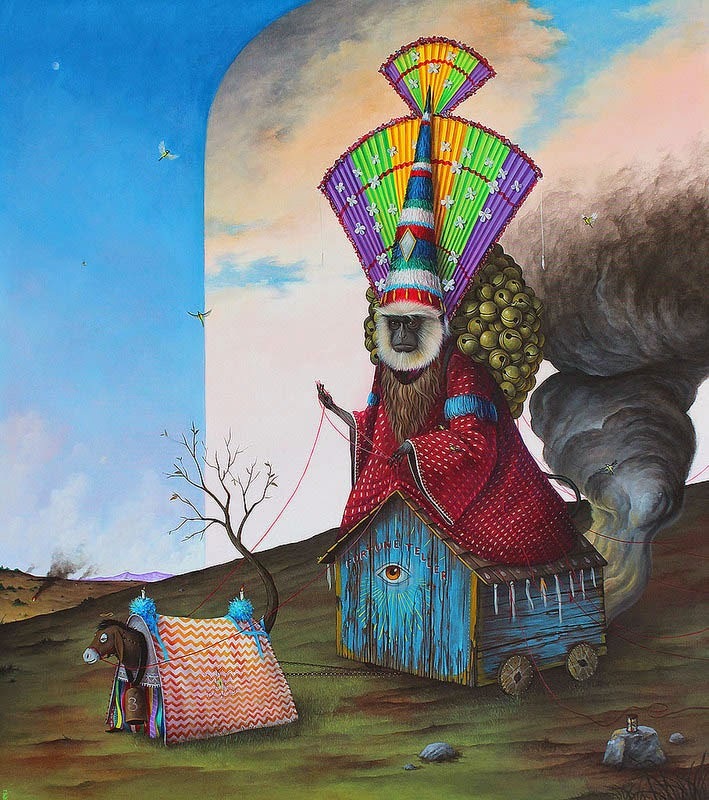 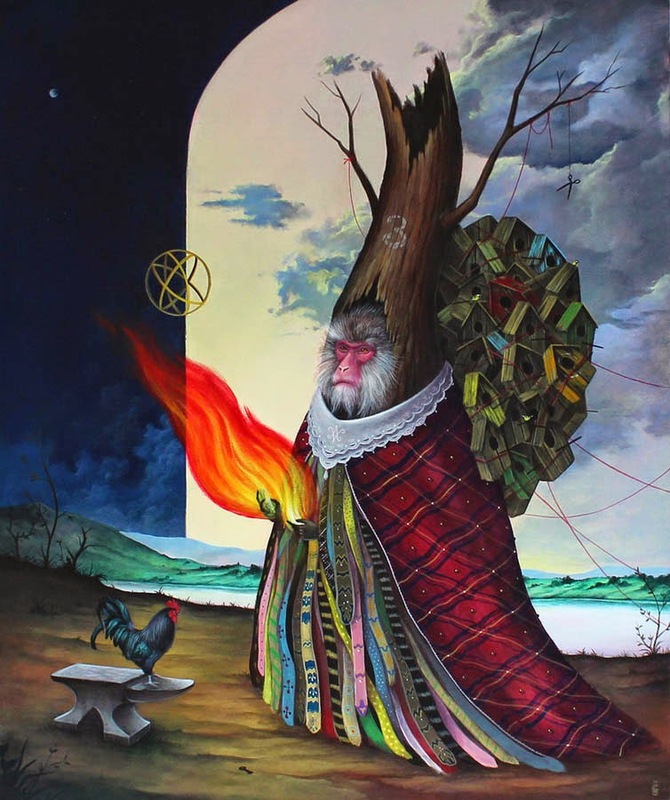 Italian artist, El Gato Chimney, delves into the mythical and ancient in his latest works for “De Rerum Natura” (Latin for “The Nature of Things”), his solo show at Stephen Romano Gallery, including paintings, large-format watercolors on paper, and a site-specific installation. 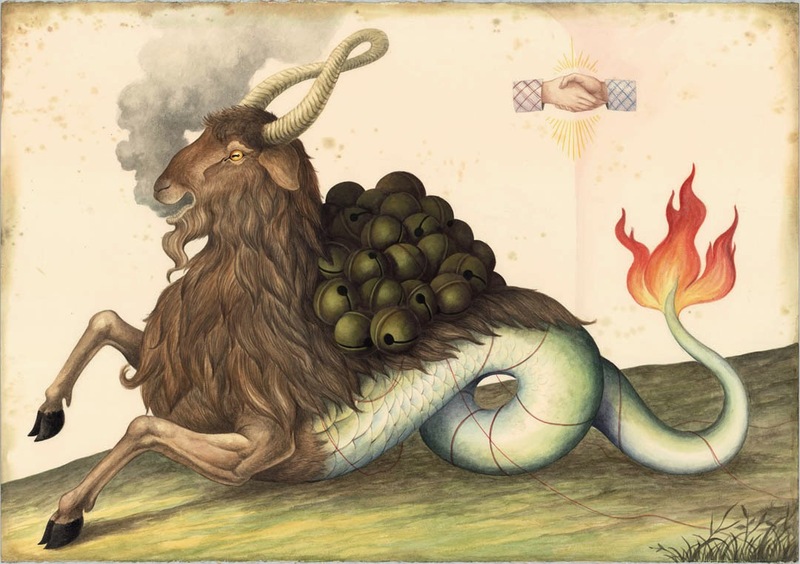 The upcoming exhibition reads like a folklore storyteller weaving a fabled world inhabited by shamanic animal spirits and cryptozoological beasts, alongside a cultural stitching of pagan deities cloaked in ceremonial attire. 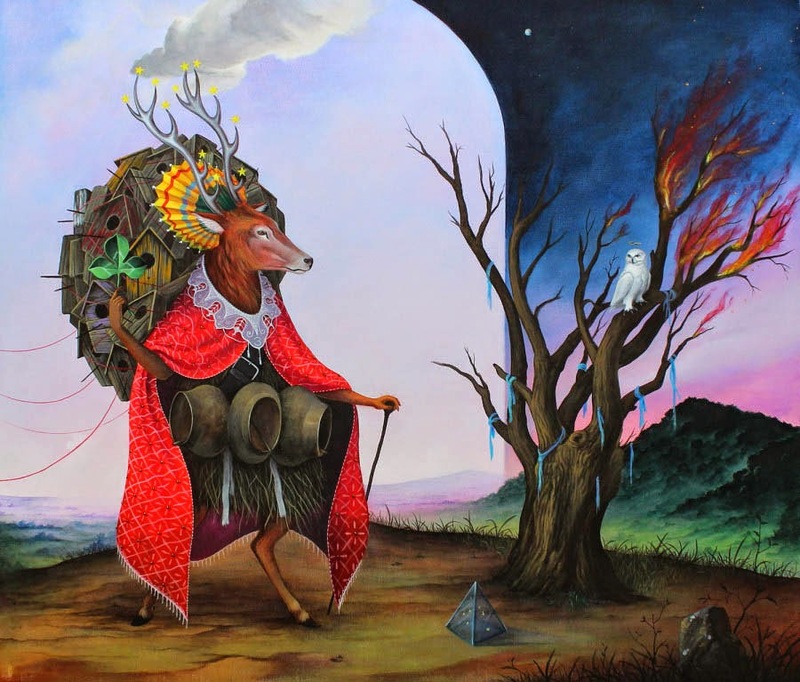 An alternate plane of existence where a prominent division of vice & virtue and night & day coexists. 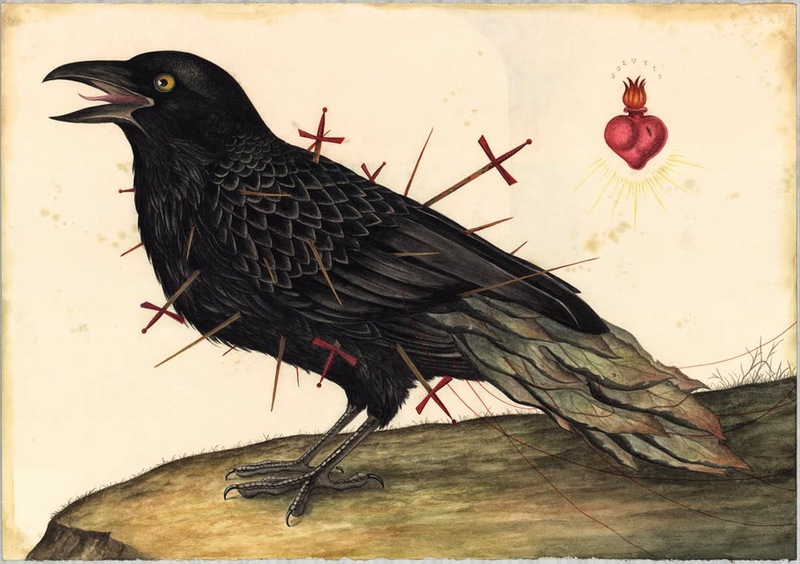 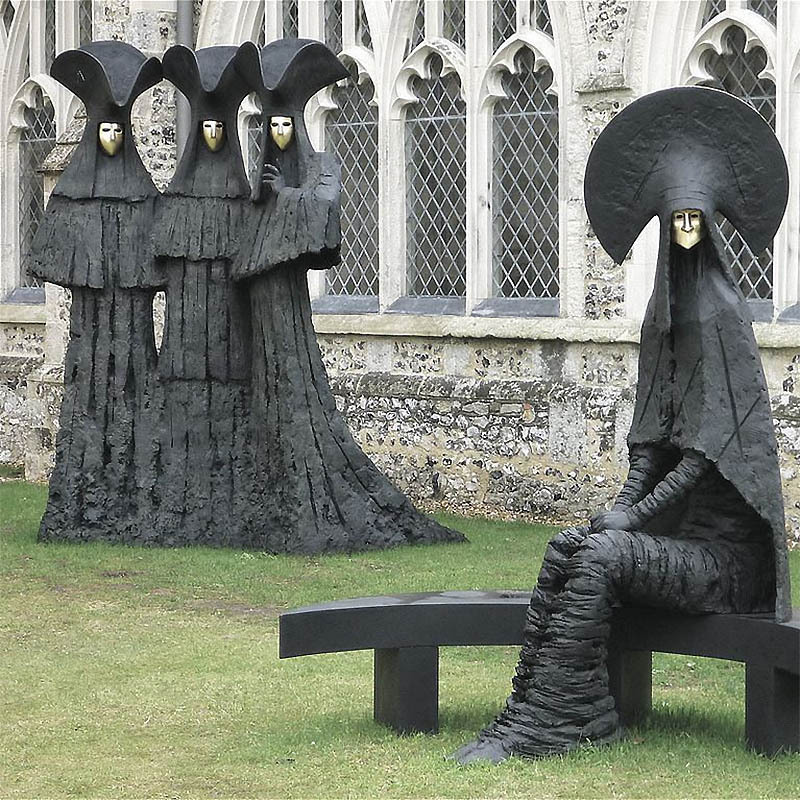 The works are uncanny yet familiar, and exude a sense of cryptic wonder, inviting the viewer to decipher and interpret what is behind the imagery.